In the Tafseer (commentary) of this ayat (verse), the Mufassireen (Commentators of the Quran Shareef) have explained that Allah Ta’ala makes known to us, the recourse for sins : Taubah(repentance). 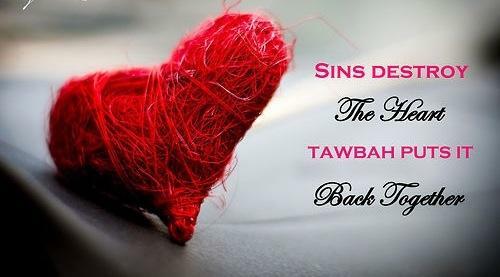 Whatever the sins committed – be they major or minor sincere Taubah (repentance) will secure for one, Divine forgiveness. However, we need to understand that taubah is not merely a verbal announcement and confession of: Astaghfirullah (I seek Allah’s forgiveness). The validity and acceptance of Taubah is dependent on certain accompanying conditions. We should keep in mind, that even though Allah Ta’ala is Ghafurur-Raheem, He is also al-Muntaqim – One who takes Retribution. Out of His kindness, Allah Ta’ala gives to us numerous opportunities to make amends and return to His Obedience. If we still persist and insist on sin, and we are bent on disobedience, then His Punishment is something that cannot be escaped. Taubah and Istighfaar are like the ointment used for burns, which we keep in our homes. Even though we have a remedy for burns, we will not deliberately burn ourselves.